In time for President’s Day Weekend, Beer O’Clock will be hosting a special Colorado Brewery Tap Takeover at its location in downtown Portland. 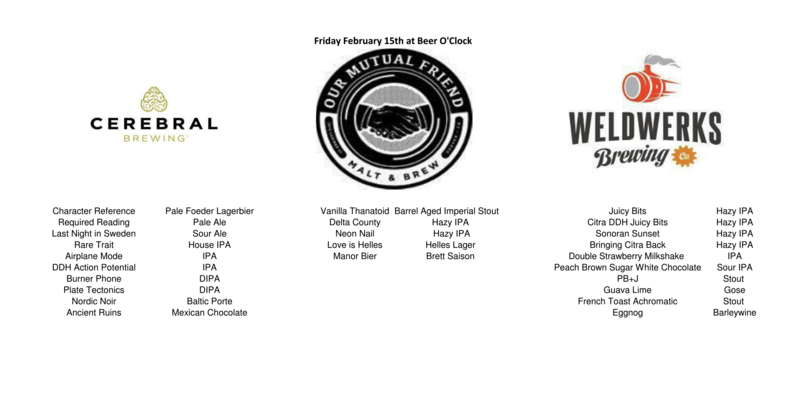 Three highly coveted breweries from Colorado will be making a very rare appearance here in Portland as Our Mutual Friend Brewing, Cerebral Brewing, and Weldwerks Brewing will be sending some beer to our market. Beginning at Noon on Friday, February 15th, Beer O’Clock will be lending its taps to the three previously mentioned breweries from Colorado. Here’s a preview of what to expect from this amazing tap list. 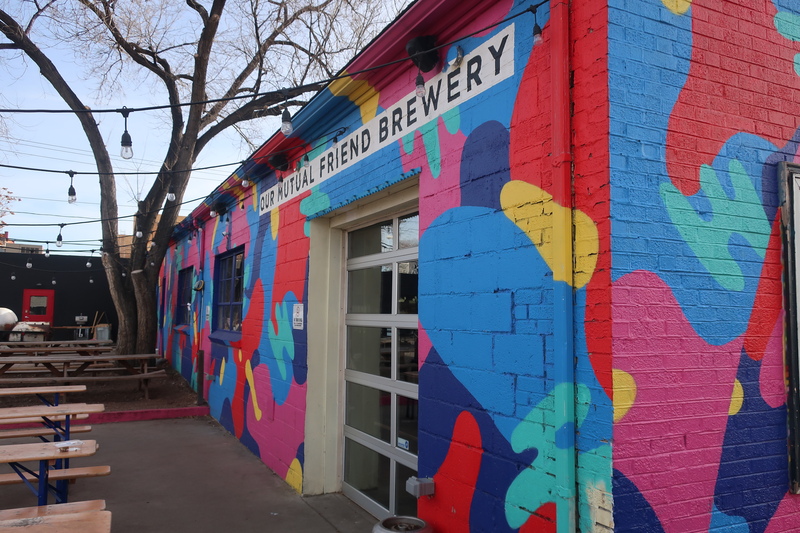 Our Mutual Friend Brewery located in the River North neighborhood of Denver. And if you get a bit hungry, it’s easy to order food from Lardo and Grassa that are both connected to Beer O’Clock.